Skibbereen Regional Water Supply Scheme. 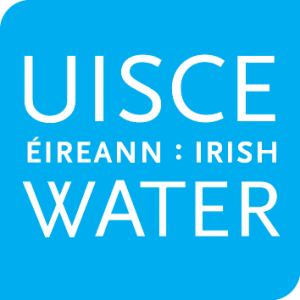 By TheCork.ie on 12th April, 2019 Comments Off on Skibbereen Regional Water Supply Scheme. Minister of State Jim Daly this morning joined Irish Water and Cork County Council in turning the sod to officially mark the start of the €28 million upgrade to the Skibbereen Regional Water Supply Scheme. The project, which is being carried out by EPS, will improve water quality and security of supply for approximately 7,000 people in the areas of Skibbereen, Drimoleague, Schull, Leap and Sherkin Island. The Skibbereen Regional Water Supply Scheme area is currently supplied with drinking water from five separate water treatment plants in Ballinlough, Ballyhilty, Drimoleague, Lake Cross and Skeagh. The water treatment plants in Drimoleague, Skeagh (near Schull) and Ballinlough (near Leap), have inadequate treatment facilities and are consequently included on the EPA’s Remedial Action List – the list of ‘at risk’ water supplies. As a result of the upgrade, these three plants will be decommissioned. The other two water treatment plants in Ballyhilty and Lake Cross will be retained, upgraded and expanded to become the sole sources of supply for Skibbereen Regional Water Supply Scheme. The project will also involve the construction of new treated water storage reservoirs in Drimoleague, Schull, Leap and Sherkin to provide increased security of supply to customers. Existing defective water mains and water mains with insufficient capacity in Drimoleague, Castledonovan, Schull, Leap and Bluid will be replaced.